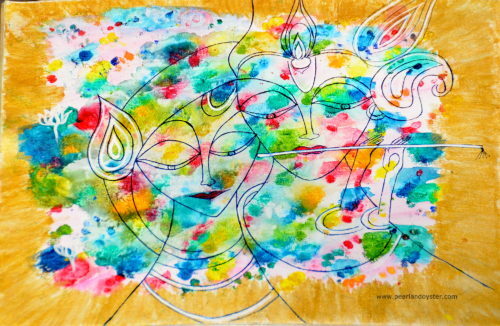 It had been a long time since I had done a painting of Radha & Krishna. Now that it is the holi season, I felt that it would be apt to sketch one. Holi has many legends associated with it but the one most known is probably the story of Krishna’s antics at Vrindavan where he smears colours on Radha’s face to overcome his jealousy of her having a fairer complexion as compared to him. Next story Bib Necklace – a cool fashion accessory ! Previous story Reflection through my lens !